Our system of tort law enables victims of negligence or harmful intentional acts to claim compensation for their economic and noneconomic losses. However, compensation does not come automatically to accident victims. Obtaining full compensation may require the services of an experienced personal injury attorney. Bracamontes & Vlasak, P.C., in San Francisco is a team of lawyers dedicated to obtaining full compensation for victims of motor vehicle accidents, workplace accidents, medical malpractice, assaults and other torts. We act quickly to preserve evidence, initiate legal action and take all other steps necessary to obtain results for our clients. 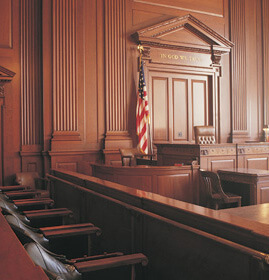 Bracamontes & Vlasak, P.C., will work diligently to obtain the best possible settlement or jury award for you. Medical costs — These can include past and future medical costs, including emergency care, rehabilitation services, medications, transportation costs to and from medical treatment and others. In some cases, victims of scarring and disfiguring injuries may also claim costs for scar revision treatment or cosmetic surgery. Psychological counseling — Victims of traumatic events such as sexual assaults or dog attacks may suffer post-traumatic stress disorder, requiring counseling and medications. Lost income — You may be entitled to claim compensation for your past and future income loss. In cases involving life-changing injuries, our firm often uses the services of an economist or vocational specialist to accurately calculate this figure. Pain and suffering — California law enables a tort victim to claim compensation for physical pain, psychological suffering and other noneconomic losses. Punitive damages — In cases involving egregious negligence, victims may be entitled to punitive damages. Compensation in a Wrongful death case can include medical costs prior to death, funeral costs, lost income the family would have received had the victim not died, and noneconomic damages such as loss of consortium and loss of companionship. Contact Bracamontes & Vlasak, P.C., to learn more about compensation issues in a personal injury or wrongful death case. You can also schedule a free consultation by calling us at 415.835.6777.